At Eye Spy we love a good Chicago cause. 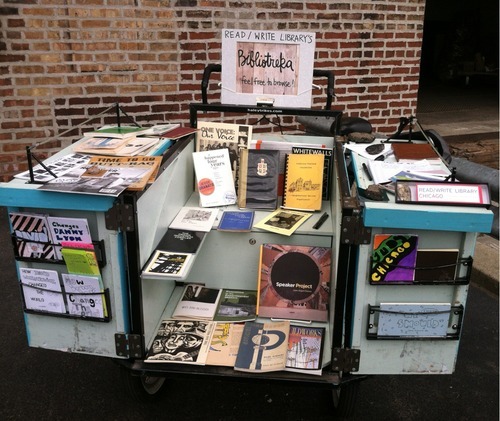 When we heard that the READ/WRITE LIBRARY CHICAGO got their bike stolen (a.k.a. the Bibliotreka), we knew we had to do something to help! After some brainstorming, we decided to host two trunk shows as a part of our Green Scene events…and a portion of the proceeds from the day will go to help READ/WRITE get a new bike! 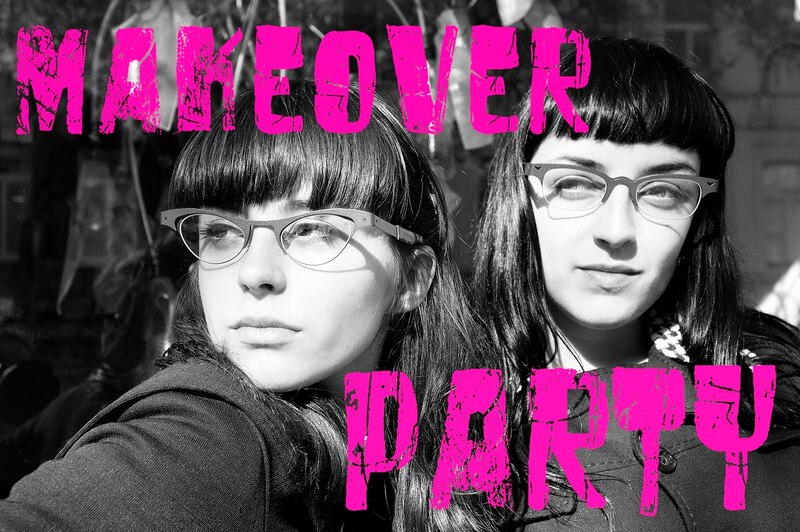 Mykita and Eyebobs Readers will be joining us for the day. (Ha! Readers for the Library!) READ/WRITE will also have a little crafting session with some up-cycled book parts. Join us April 26th from 11-4pm! Wondering what in the heck the READ/WRITE LIBRARY CHICAGO is all about? Please allow me to explain… The Read/Write Library is an all-inclusive collection of Chicago-specific media, produced by and for the community. Through their unique indexing of contributors and their open venue, they provide a space for individuals, organizations and ideas to come together, and creative connections to emerge. They also had a sweet bike called “Bibliotreka”, that some not-so-nice person stole this summer! We are joining in the effort to raise some funds to replace their beloved bike. Wondering what in the heck Mykita is all about? 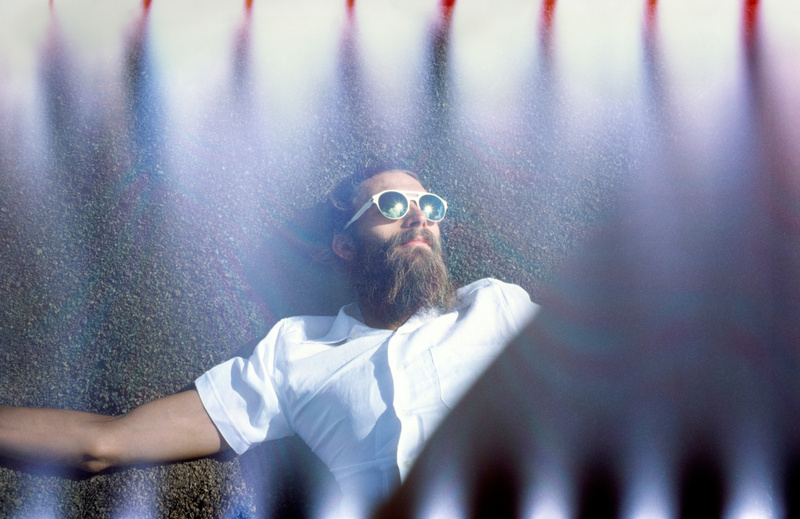 Mykita is a dream come true for those who are looking for a crazy durable light weight frame. They have got it down, with an all steel frame, a pressure hinge and a lovely assortment of shapes Mykita really make it happen. They also have a few plastic frames up their sleeves complete with a pressure hinge as well. Next on the trunk show ticket is Eyebobs! Tired of those lame drug store readers that break two seconds after you walk out of the store? Eyebobs is just the answer…and the optics and styles are much better too! 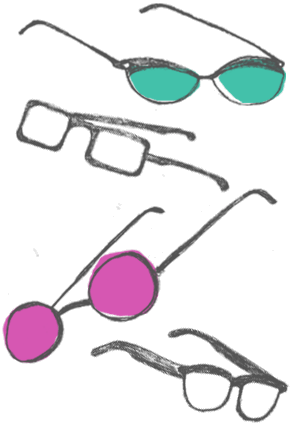 Each frame comes in about 5 different colors and every reading power! It’s magical…readers that you won’t be embarrassed to wear!!!! Hooray! Come in and try them all one to find one you love. Psssttt… they also have sunglasses! Join us for a day of trunks, fun, crafts and help get READ/WRITE a new bike! Our Customer of the Week this week is JEAN! Jean came in to Eye Spy to pick up a new pair of Eyebobs. While here, she fell in love with this Thierry Lasry sunglass frame. We think she looks FANTASTIC in these specs, the tortoise is highlighted by a super-secret bright red on the inside of the frame. Congratulations, Jean, you look great in your new Thierry Lasry frame AND you’re our Customer of the Week! Just in! 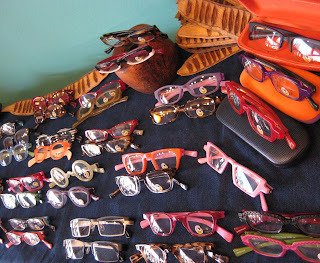 TONS of new Eyebobs reading frames!!! !